Please Login or Register to manage your account! An innovative academic skill development and tutoring service. 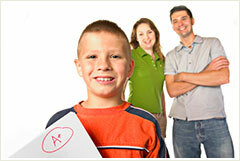 Great Minds offers tutoring solutions for students of all ages and abilities. Many children who struggle in school simply do not have problems deemed severe enough to warrant special education. For those children, parents may need to seek outside remedial help in the form of tutoring. Some students may need temporary help in a specific subject or standardized test prep for SAT, ACT, AP and other tests. Other families may seek enrichment challenges beyond what school can provide or support for home schooled students. We offer an assessment tool to pinpoint your child’s specific needs and develop an effective instructional plan. The tutor-student relationship is critically important for tutoring to be effective and successful. We spend the time to get to know your family and student and find the best tutor match for him or her. This means finding a tutor who has the content knowledge and experience that your child needs as well as a personality and teaching style that fits your child. Children who experience difficulty in learning may "shut down" out of frustration. Shut-down learners are children who become academically discouraged and disconnected from school over time.